accommodations to entertainment and gaming." beachside cabana, there is something for every outdoor enthusiast. become one of the leading special events destinations in the Southwest. International Off-Road Racing offer something for every adventurous spectator. scenic cruise, there is something for everyone on the waters of the Colorado. and also with operating the Las Vegas Convention Center and Cashman Center. Reno, NV (September 11th, 2008) – Speed Technologies, one of the largest and foremost race teams in the United States and Mexico, continues racing in the CORR series this weekend with two Pro-Lite trucks. The trucks are sponsored by both Bully Dog and Speed Technologies. Chuck Dempsey, a full-time Speed Technologies driver who also races in both the SCORE and Best in the Desert race series, is continuing his education in CORR racing under the Casey Currie Racing banner with sponsorships by Speed Technologies and Bully Dog. The team, led by Casey Currie, recently added Dempsey and is excited to parlay his extensive desert racing experience into the CORR arena. Casey Currie, a well known CORR and motorcycle racer, has already captured two podium finishes this year and is looking to bring another one home. “We’ve spent the last month testing the trucks and they’re more dialed in than ever before – I feel more comfortable behind the wheel with the new suspension changes and I looking for a top placement this race,” said Currie. This is Dempsey’s first year racing CORR, but he’s well-known in desert racing circles and in 2005 took home a first place motorcycle finish in the Baja 500. Currie has been competing in the off road and motorcycle circuit for over six years. In 2005 Currie raced the SuperTT series in Southern California, and after advancing to the AMA professional SuperMoto series he placed fifth in the nation. Established in 2006 Speed Technologies is owned by John Harrah and headquartered in Reno, NV at Rancharrah. The team operates both an off-road car and motorcycle team. Competing in both the SCORE Desert Series and the Best in the Desert, Speed Technologies is a full-time operation supported by a full time staff as well as additional chase and safety crews. Speed Technologies is committed to safety both on and off the track. For more information on Speed Technologies please visit www.speed-technologies.com or call 775-851-7492. Championship Off Road Racing™ brings high action, four wheel motorsports including 2 wheel drive and 4 wheel drive trucks to the closed course off road arena. 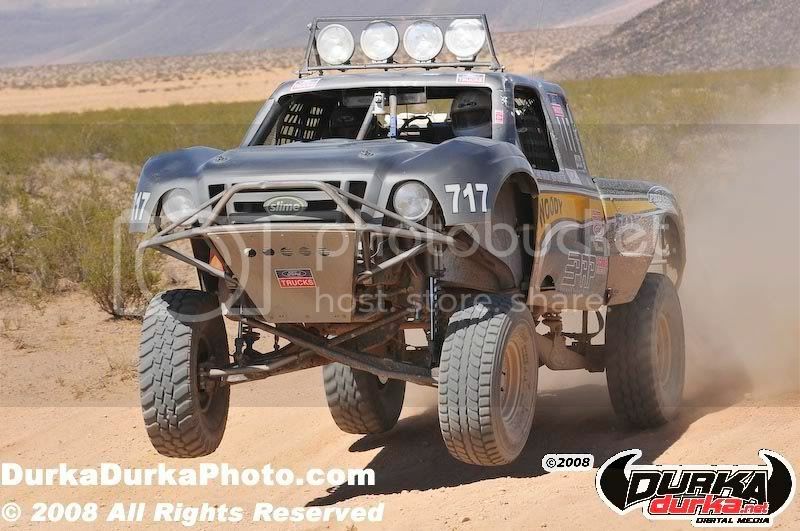 The 2008 Championship Off Road Racing's race season includes eight events at tracks located in Los Angeles, CA, San Diego, CA and Las Vegas, NV. CORR's success continues to evolve in a simple formula: Combine close fender-to-fender racing on a course designed to allow the fan in the stands to see all the action on the track, while allowing television viewers at home to live vicariously through their favorite driver. Ferrari president Luca di Montezemolo has been appointed as the Formula One Teams Association's first chairman. The 10 F1 teams set up the association to work with governing body the International Automobile Federation (FIA) to help improve the sport. FIA president Max Mosley wants F1 to come up with new rules to reduce costs and halve fuel consumption by 2015 in a bid to become "greener". Even the smallest F1 team's annual costs are over £57m. Ferrari said the meeting had agreed five primary objectives and established three commissions. The Sporting Working Group will be led by McLaren chief executive Martin Whitmarsh, the Technical Working Group by Honda team principal Ross Brawn and the Commercial Working Group by Renault F1 team boss Flavio Briatore. THE CHAMP: Despite losing the race to Helio Castroneves in a photo finish Sunday at Chicagoland Speedway, Scott Dixon wrapped up his second IRL IndyCar Series championship. RIDE SWAPS: Dario Franchitti, the 2007 IndyCar Series and Indy 500 champion, will return to the series full-time next season. Franchitti, who tried his hand at NASCAR stock-car racing this season, will replace Dan Wheldon in the second Target Chip Ganassi Racing entry. Wheldon has signed with Panther Racing, the team with which he began his IndyCar Series career, leaving Vitor Meira among the drivers shopping for a ride for the 2009 season. TOP ROOKIE: Hideki Mutoh won the IndyCar Series Bombardier Learjet Rookie of the Year award. BIG MONEY: Jac Haudenschild earned $50,000 for his third Gold Cup Race of Champions sprint-car triumph at Silver Dollar Speedway in California. Meanwhile, Shane Clanton picked up $41,000 for winning the World 100 dirt-late-model event at Ohio’s Eldora Speedway. CHANGES: Kansas Speedway is going to build a permanent infield road course at the 1.5-mile superspeedway located in Kansas City, Kan.
A CHIEF: Darian Grubb has officially been named crew chief for Tony Stewart next season at Stewart Haas Racing. San Diego, CA (September 9, 2008) - Championship Off Road Racing returns to the metropolitan San Diego area this weekend as racing action kicks off at "The Quarry" located at the Chula Vista International Raceway. The Quarry is only 15 minutes from the motor sports race shop of Todd Cuffaro, driver of the No.46 Nissan/UPR/BFGoodrich Tires Pro Lite. This weekend's race is the sixth stop of the eight race series as San Diego resident, Todd Cuffaro, leads the 2008 class of CORR Pro Lite rookies in the championship point's standings. In fact, the 24-year old racer is fifth in overall point's chase sharing the top five spots with several previous CORR Pro Lite champions. "Returning to the Chula Vista race course is always a refresher for us. Racing in our backyard is definitely an advantage and if for some reason we need to utilize our race shop it's only 15 minutes away. I'm looking forward to another great weekend of racing. In a recent test session we made some significant improvements on setup and we continue to work closely with FOX Racing Shox in fine tuning our race day suspension setup," said a smiling Cuffaro. 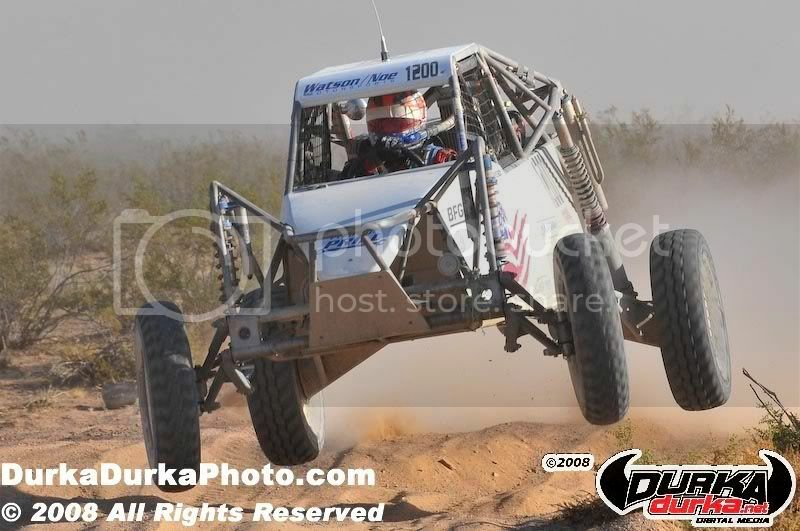 Facing the challenge against the nation's top Pro Lite racers, Todd Cuffaro has held his own during the first 10 rounds of Championship Off Road Racing. Moving forward to towards the end of the season and with only six rounds of door-to-door racing left, Cuffaro has strategically positioned his team for a run at the top spot beginning this weekend. "It's time for us to make a charge towards the front of the pack. We've worked closely with our motor specialist and grinded out a few more horsepower, which should give us the extra bump to run at the front of the pack. This weekend you're going to see the No.46 in the hunt for a podium spot," commented Crew Chief Jorge Lameda. Championship Off Road Racing returns to its home track at the Chula Vista International Raceway where thousands of fans are expected to watch the most exciting form of off road motorsports seen in over a decade. The 2008 CORR season has experienced increased television coverage including live television broadcasts by both NBC Sports and SPEED Channel. That coupled with racing in metropolitan areas has increased the popularity of off road racing to the casual spectator as the grandstands have been packed with fans of all ages. Check out the CORR website at www.corracing.com for ticket information. Saturday's Round 11 will be broadcasted live from trackside in a two-hour show on SPEED Channel and Sunday's Round 12 racing action is scheduled to broadcast on NBC Sports on October 5, 2008 11:30 a.m.-1:00 p.m. Check your local listings for the schedule in your area. Sponsors of the #46 CORR Pro Lite are Nissan Motorsports, UPR Racing Supply, FOX Racing Shox, Sparco, BFGoodrich Tires, MSD Ignitions, Red Line Oil, Competitive Metals, Miller Machine Works and Cuffaro Motorsports & Race Prep. 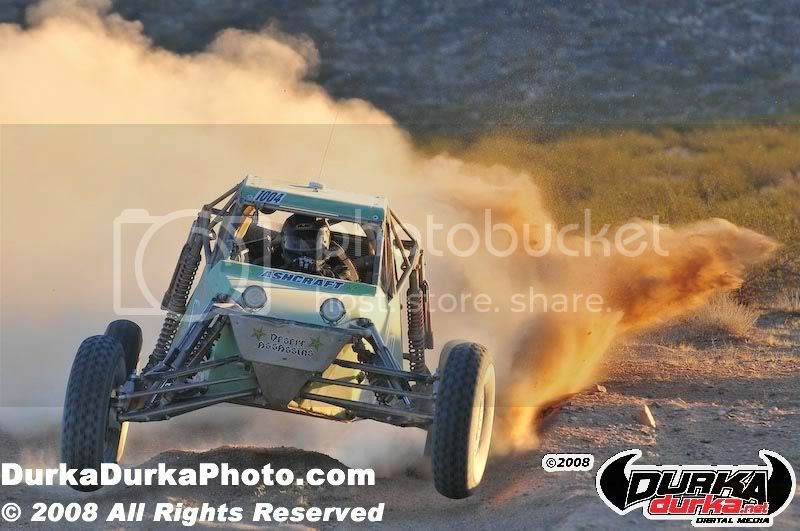 Visit www.toddcuffaro.com for the latest video and photo galleries of racing action. About CORR: Championship Off Road Racing™ brings high action, four wheel motorsports, including 2 wheel drive and 4 wheel drive trucks to the closed course off road arena. 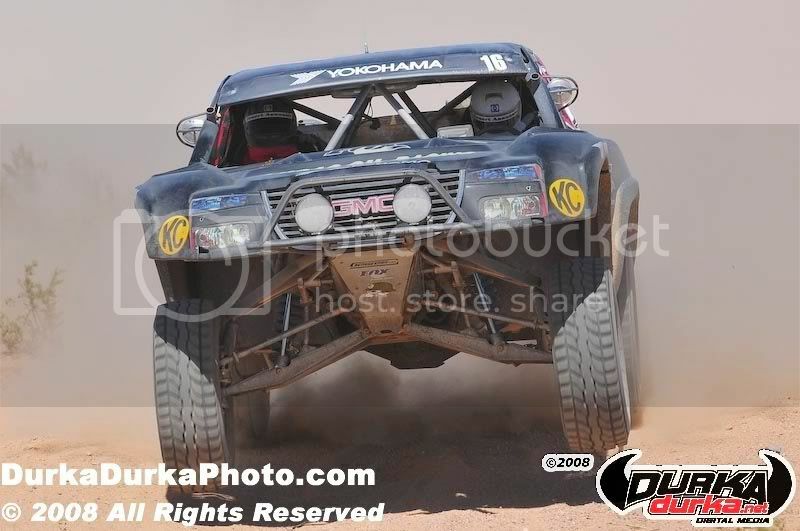 The 2008 Championship Off Road Racing's season includes eight events at tracks located in Los Angeles, CA, San Diego, CA and Las Vegas, NV. About Cuffaro Motorsports: Led by passion and driven by determination, Cuffaro Motorsports is made up of dedicated racers working together towards the goal of winning races, as well as striving for the season championship. Todd Cuffaro has dedicated his life to the success behind the wheel of a race car and the 2008 season will be no different. Teamwork. Success. Victory. Camburg conquers “Vegas to Reno” two years in a row! Huntington Beach, CA– Coming into Best in the Desert’s Vegas to Reno race, everyone knows the difficulties and challenges ahead of them. With over 450 miles of race course it has some of the most technical and abusive terrain in the US. Jason Campbell driving with Scott Zindroski navigating and Morgan Wilson in the 3rd seat was last off the line in class as they had a rear start position mid Friday. The first 80 miles was some of the roughest terrain and it showed soon into the race with the vast amount of trucks and buggy’s already broken down early. Once they were able to set a good pace they came into the first bottle neck of the race. On a single track trail leading up through some mountains race traffic came to a dead stop. With the high heat and elevation many of the lower powered buggies were having issues traversing the terrain. After about 15-20 minutes of sitting stopped on course, traffic began to flow and the race started back up again. Now coming into some of the silt sections, the Camburg Tundra stopped to help out a Class 3100 SUV who was stuck in the silt and needed to be towed to stable ground. Now under way and motoring through the rocky & silt areas a rock came up into the backside of the radiator and punctured a hole. Allowing the engine to cool, they crimped & fixed the damaged radiator core row, poured in some stop leak and topped it off with water. After about 30 minutes they were underway once again. Making progress through traffic Jason came up on a UTV that was in the middle of the course and on its side. Scott and Morgan jumped out and helped the team tip it back onto four wheels. Getting into the higher elevations (5,000+ ft.) of the course and still having a fairly high ambient outside temperature the truck ran into gas vapor-lock issues not associated from a heat source on the truck. The truck would begin to stall, so they would have to pull over, shut the truck down and purge the fuel lines. Unfortunately they encountered this problem every 10-15 minutes which made for many stops and slow progress on the course. Around mile marker 170 a stranded buggy who ran out of gas flagged the Tundra down just short of their scheduled pit stop. Jason crawled under the truck, disconnected the fuel line right after the fuel pump and began to fill up 8oz. empty water bottles with gas as Morgan cycled the fuel pump on and off. Filling up the bottles about 30 times was enough to get the buggy back underway. With the sun going down and heading towards the summit (8500+ft) the truck had the same vapor-lock issues but more frequent. At times they were only able to drive for 5 minutes before they had to pull over. Once they were able to crest the summit and started heading down the problem improved and they were able to get to race speeds once again. They came into Pit 6 at mile marker 229 about 8.5 hours after they started for a driver change and fuel dump. Jerry Zaiden took over driving, with Brad Hisgen navigating and Justin Hinds in the 3rd seat. Now that they were into night and it cooled off, the vapor-lock issues weren’t as harsh but power was down. With 200+ miles to go Jerry knew it could be anyone’s race since usually half the field doesn’t finish. Making his way through the darkness Jerry made multiple stops to help class 7, 10 and 1600 racers in need, with most of them being stuck in the Nevada silt. By this point in the race it was all about finishing and getting others to the finish line. The last thing any racer wants is to be stranded out in the middle of no where through the night. After pulling out one of the last stuck buggies before Pit 9, the truck was stuck in 4-LO which tops out at 27 mph, so it made for a time consuming crawl to the next scheduled pit stop. Jerry pulled into Pit 9 and the crew went to work splashing fuel, looking over the truck and resetting the ECU which allowed the truck to get out of 4-LO. 2006 BITD Class Champion Randy Merritt in his KC HiLites truck came through the pits before Jerry could get back under way. Now only 110 miles away from the finish the light was at the end of the tunnel. Jerry set a pace that was going to take him and his team to the finish line. Chase crews paced the progress of the race truck on the highways and then headed to Dayton to wait for the Camburg Tundra to come out of the darkness and into view of the finish. The Camburg Tundra crossed the finish line 6th in class and 99th overall in 16hrs 57min 10sec. With 202 vehicles starting the race and only 51% of those entries finishing the race, it goes to show you how difficult the course Casey Folks laid out and what kind of endurance is needed for a race this size. Having all the Class 8100 trucks finishing typically is unheard of and is an indicator of how hard all the teams worked to get to the checkered flag. For the 3rd race in a row, Camburg finished the race on the original Nitto tires they started on, had zero air filtration issues in the silt and the KC HID Pod lighting worked awesome all night long and into the early morning, so well they didn’t use the roof mounted lights. “With the race being over 450 miles, I wasn’t about to jeopardize a finish, so I set a conservative fast pace initially. “Towards the end when we were out of a podium finish I had no problem losing a couple positions in our class to help stranded racers. For more information on Camburg products and race team involvement, check out their websites www. camburg. com and www. camburgracing. com or contact them directly. SAN DIEGO, CALIFORNIA – The “Primm 300” is the roughest, most brutal race in the SCORE series. Hundreds of miles of rocks, sand and cross-grain pit drivers not only against each other, but against the terrain. Angered by a 3rd place finish at “Vegas to Reno” only two weeks prior, Team KORE worked non-stop, completely rebuilding the Power Wagon in record time. A 6am start from the back of the pack forced driver Kent Kroeker to fight tremendous dust while driving into the rising sun. An all-out death battle ensued between John Griffin’s Ford and Kroeker’s Dodge. Swapping leads numerous times throughout the race caused a lot of nail biting in the pits. Both teams had to stop to refuel and each time the lead changed. For the entire second lap, both trucks remained within seconds of each other, going all out for the win. With only 20 miles to go, Kroeker was in the lead. Then the motor stalled and Griffin got by, forcing Kroeker to drive inside his dust, all the way to the finish. 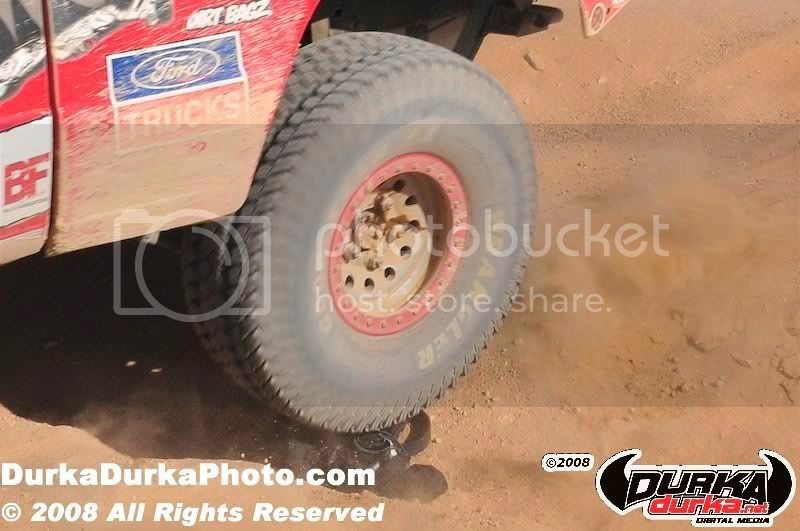 With zero visibility, two miles from the finish, Kroeker hit a rock, exploding the right rear tire. The crowd cheered as Kent Kroeker and co-driver Frank Martinek powered down the final mile with a mangled bumper, crumpled bedsides and a shredded tire, flapping on the wheel. When they reached the checkered flag, KORE had the win by 16 seconds. Vista International Raceway near San Diego. classes it races in this season. open-wheel cars, VW Baja Bugs and motorcycles. help promote the sport, both behind the wheel and behind the microphone. race shop in southwest Las Vegas. All photos now up. Go to Durka Durka Photo to see them all. 10% discount for the next 5 days. Primm, NV (September 9th, 2008) – The SCORE Terrible’s PRIMM 300 was a milestone race for Speed Technologies – they didn’t break any records or achieve a podium finish, but their most powerful and highly watched car, (#122) The Dominator driven by John Herder, made it across the finish line for the first time since the car joined the team at the 2007 Baja 1000. One of only four in the world The Dominator is a powerful beast --- and along with that power came many mechanical challenges that the Speed Technologies team had to overcome. The four lap race challenged drivers with grueling 100 degree temperatures coupled with a dusty track and pour visibility, but bringing both these cars across the line was well worth the effort. Mitsubishi Motors Corporation and its motor sport unit, the Repsol Mitsubishi Ralliart team has confirmed that it will once again field a four-car line-up on the 31st Dakar Rally. The event, which will switch to fresh territory in 2009 and take competitors through Argentina and Chile from Saturday January 3 until Sunday January 18, 2009, will see the Japanese manufacturer use the new turbo-diesel 'Racing Lancer', with Stephane Peterhansel, Hiroshi Masuoka, Luc Alphand and Joan 'Nani' Roma all remaining onboard. Indeed Mitsubishi's line-up is the same as that which has represented the team on this annual cross-country rally since 2005 and in addition to gunning for it's first-ever victory with a diesel powered car, the company will also be after its 13th success in total - and its eighth win in succession, having won the Dakar Rally every year since 2001. The new 'Racing Lancer' meanwhile will be officially unveiled on Thursday October 2 at the 2008 Paris Motor Show, which opens to the public from Saturday, October 4 until Sunday, October 19. It will be displayed alongside the 'Lancer Sportback' upon which it is based and which is due to go on sale across Europe this autumn. 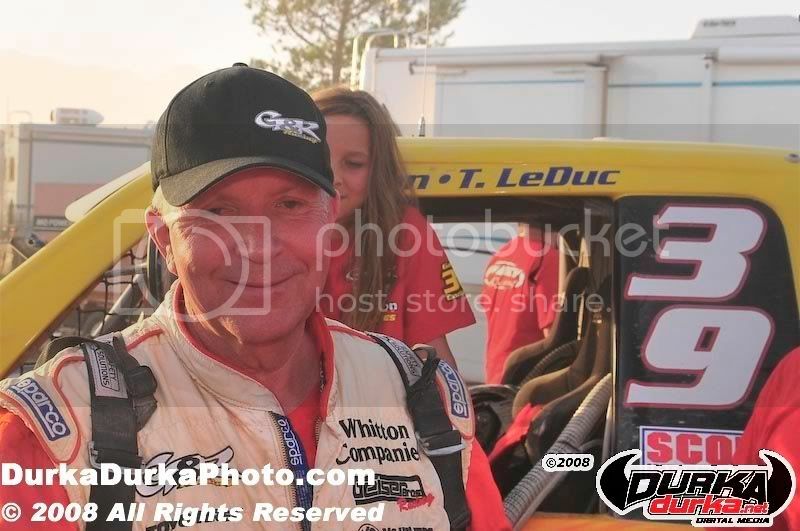 Saturday, September 6, 2008 at Primm, Nev.
PRIMM, Nev.—Roger Norman drove the last lap to victory after teammate Larry Roeseler had spotted him a 10-minute lead driving the first three of four laps in the No. 8 Norman Motorsports Ford F-150 race truck, capturing the overall and SCORE Trophy-Truck victory Saturday at the 13th Annual SCORE Terrible’s Primm 300 desert race. With Norman earning his first career SCORE Trophy-Truck race win and Roeseler his second, the duo covered the rugged 288-mile race in four hours, 50 minutes and 20 seconds, averaging a ground-pounding 59.52 miles per hour while covering the four laps over the rugged 72-mile desert race course in Primm, Nev., 45 miles south of Las Vegas. Roeseler, Irvine, Calif., started seventh in the star-studded field of 20 starters in SCORE Trophy-Truck in the elapsed-time race, was second after the first lap, moved ahead on lap 2 and extended it to just over 10 minutes on lap three before turning the wheel over to Norman, the Reno, Nev., businessman who owns the Crystal Bay Casino for the final lap. The victory almost slipped away on the final lap when the brakes went out forcing Norman to drive nearly 50 miles of uncertainty before winning the race by one minute, 48 seconds. Roeseler run consistent laps of 1:09:23, 1:10:19 and 1:11:10 before Norman’s last lap struggle turned into a lap of 1:19:18. Las Vegas Brian Collins not only closed the gap during the final lap, but actually took the lead by nearly a minute on corrected time before two flats in the final 10 miles put him back into second place at the checkered flag in the No. 12 Collins Motorsports Mopar Dodge Ram1500. Collins finished in4:52:08, averaging 59.15 mph. Keeping SCORE Trophy-Trucks from sweeping the podium was the All German Motorsports unlimited Class 1 BMW-powered Jimco open-wheel desert race car driven by Germany’s Armin Schwarz and Martin Christensen of Escondido, Calif. With Schwarz starting and driving the first half of the race and Christensen bringing their car across the finish line in 4:58:54, averaging 57.81mph. It was the second Class 1 win of the year for Schwarz, a former World Rally Championship series star, and Christensen, a veteran SCORE desert racer. SCORE’s 35th anniversary season continued with 86 survivors out of 124 starters, competing in 17 Pro and 2 Sportsman classes for cars and trucks finishing within the seven-hour time limit in the elapsed-time race. Round 4 of the five-race 2008 SCORE Desert Series, the world’s foremost desert racing series, featured racers from 13 States and four countries racing on a typically rugged Southern Nevada race course under brilliantly sunny skies with a light northerly wind and temperatures in the high 90s. Fourth overall and third in SCORE Trophy-Truck was the team of Ron Whitton, Mesa, Ariz./Todd LeDuc, Cherry Valley, Calif., who finished in 5:04:24 in the No. 39 GNR Racing Ford F-150. Completing the top five was Las Vegas’ B.J. Richardson, who was second in Class 1 in the Las Vegas Dissemination Company Bunderson-VW with a time of 5:06:10. SCORE Trophy-Trucks, the marquee SCORE racing division captured seven of the top 10 finishing positions with Class 1 claiming the other three. SCORE Trophy-Trucks have now won nine overall titles in this race, including the last six straight. Class 1 has won the other four overalls. The sixth through 10th place overall finishers in Primm were: Damen Jefferies, Apple Valley, Calif. (fourth in SCORE Trophy-Truck, Chevy Silverado), Bill McBeath, Las Vegas (fifth in SCORE Trophy-Truck, Chevy Silverado), Nick Vanderwey, Phoenix (sixth in SCORE Trophy-Truck, Chevy Silverado), Mark Post, Laguna Beach, Calif./Rob MacCachren, Las Vegas (seventh in SCORE Trophy-Truck, Ford F-150) and Dale Lenk, Costa Mesa, Calif./Randy Perry, Santa Anna, Calif., (third in Class 1, Penhall-Chevy). For the seventh consecutive year, the race was split into two groups with the slower classes running in the morning. The faster classes, including the featured SCORE Trophy-Truck division along with the unlimited Class 1 open-wheel class, raced in the afternoon. 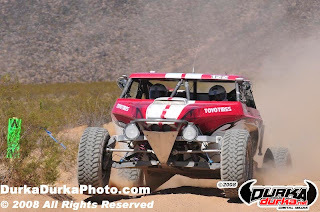 Las Vegas’ Bekki Wik and her husband Adam Wik’s Honda-powered Bunderson was the fastest during the morning section of the race, winning Class 10 in 5:18:15, and they also finished 11th overall in the race. Bekki Wik, a two-time SCORE Class 1-2/1600 season point champion and one of only two female drivers of record in the race, started second physically and led by over 10 minutes after the first lap of 1:17:05 which was the fastest lap of the day in their class. She led at the halfway point when she turned over the driving to her husband, who kept the team in front to the finish. Winning the Primm race for the sixth time in seven years, including five straight, were brothers Donald Moss, Sacramento, Calif., and Ken Moss, Marysville, Calif., in their sturdy Ford Bronco. The victory was also the 30th class win of their desert racing career, and they remained undefeated this season with their fourth victory of the season. Las Vegas’ Aaron Hawley and Bryan Freeman split the driving and defeated a 14-car field in a Seagrove-VW in Class 1-2/1600. In the 14-car SCORE Lite class, Perry McNeal, San Diego, won in a Lothringer-VW. John Holmes, Olivenhain, Calif., won Class 7SX in a Ford Ranger for the second time in this race. It was also his second win of the 2008 SCORE Desert Series. Kevin Carr, San Diego drove his VW Baja Bug to the Class 5 win for the second straight year while picking up his third win in four SCORE races this year. Other class winners included Marcos Nunez, Ensenada, Mexico (Class 5/1600, VW Baja Bug), Chris Taylor, El Centro, Calif./Josh Quintero, Imperial, Calif. (Class 7, Ford Ranger), Kent Kroeker, Valley Center, Calif.(Stock Full, Dodge2500), Gavin Skilton, Orange, Calif., (Stock Mini, Honda Ridgeline) and Ramon Fernandez, Ensenada, Mexico (Class 11, VW Sedan). The stage is now set for the season-ending 41st anniversary of the legendary Tecate SCORE Baja 1000 desert race to be held November 19-22 in Baja California, Mexico. The world’s most popular desert race will start and finish in Ensenada. The 2008 SCORE Desert Series also includes the chase for the $20,000 Volkswagen of America Point Leader Bonus and the run for the Toyota Milestone Awards for car and truck racers who complete every required mile of the season. To date, 16 drivers are still eligible for the Toyota Milestone Awards. Current SCORE official annual sponsors are: BFGoodrich Tires-official tire, Sunoco Race Fuels -official fuel supplier, Bilstein-official shock, Volkswagen of America-official vehicle, Instant Mexico Auto Insurance-official Mexican auto insurance, Slime-official tire sealant, Red Bull--official energy drink and Bosch Power Tools-official power tool. Associate sponsors are: Tecate Beer, Coca-Cola of Mexico, Las Vegas Events, Terrible Herbst Inc., Blue C Enthusiast Advertising, Kartek Off-Road, American Suzuki, SignPros, P.C.I. Race Radios, McKenzie’s Performance Products and Advanced Color Graphics. Co-title sponsors for the 13th SCORE Terrible’s Primm 300 were Las Vegas Events and Terrible Herbst Inc.
For more information, contact SCORE at its Los Angeles headquarters 818.225.8402 or visit the official website of the 2007 SCORE Desert Series at www.score-international.com. 501 KEVIN CARR, 1st (drove all 3 laps) – It was a good trip. No real problems. Lots of rocks. We had one problem. The ignition shut off and we had to stop and figure out what was wrong there. One of the wires had gotten disconnected and we had to find it and reconnect it. It started to heat up a little bit so we took it a little bit easy coming back in, but really no problems. It was a great race. I actually had three co-drivers – Danny Rodriguez, Raoul Gilbert and then my dad, Bob Carr. We were like the school bus picking up kids. just had to keep my foot planted the whole time. I’ve never been on two wheels so much in my life in a race. (Said it was his fourth race and first finish in the car). SCORE TROPHY-TRUCK (Unlimited Production Trucks)—1. Roger Norman, Reno, Nev./Larry Roeseler, Irvine, Calif., Ford F-150, 4:50:20 (59.517 mph); 2. Brian Collins, Las Vegas/Chuck Hovey, Escondido, Calif., Dodge Ram 1500, 4:52:08; 3. Ron Whitton, Mesa, Ariz.,/Todd LeDuc, Cherry Valley, Calif., Ford F-150, 5:04:24; 4. Damen Jefferies, Apple Valley, Calif., Chevy Silverado, 5:07:29; 5. Bill McBeath, Las Vegas, Chevy Silverado, 5:10:39; 6. Nick Vanderwey, Phoenix/Larry Vanderwey, Litchfield Park, Ariz./Michael Vanderwey, Phoenix, Chevy Silverado, 5:11:11; 7. Mark Post, Laguna Beach, Calif./Rob MacCachren, Las Vegas, Ford F-150, 5:12:50; 8. Robbie Pierce, Santee, Calif./Brent Gustin, Seal Beach, Calif., Chevy Silverado, 5:22:12; 9. Adam Householder, Orange, Calif., Chevy Silverado, 5:48:14; 10. B.J. Baldwin, Las Vegas, Chevy Silverado, 6:17:58; 11. Mike Voudouris, Austin, Texas, Ford F-150, 6:21:54. CLASS 1 (Unlimited single or two-seaters)—1. Armin Schwarz, Germany/Martin Christensen, Escondido, Calif., Jimco-BMW, 4:58:54 (57.81 mph); 2. B.J. Richardson, Las Vegas, Bunderson-Chevy,5:06:10; 3. Dale Lenk, Costa Mesa, Calif./Randy Perry, Santa Ana, Calif./Grant Lenk, Costa Mesa, Calif., Penhall-Chevy, 5:18:00; 4. Brian Parkhouse, Bell Gardens, Calif./Tom Ridings, Los Alamitos, Calif. Jimco-Chevy, 5:26:06; 5. 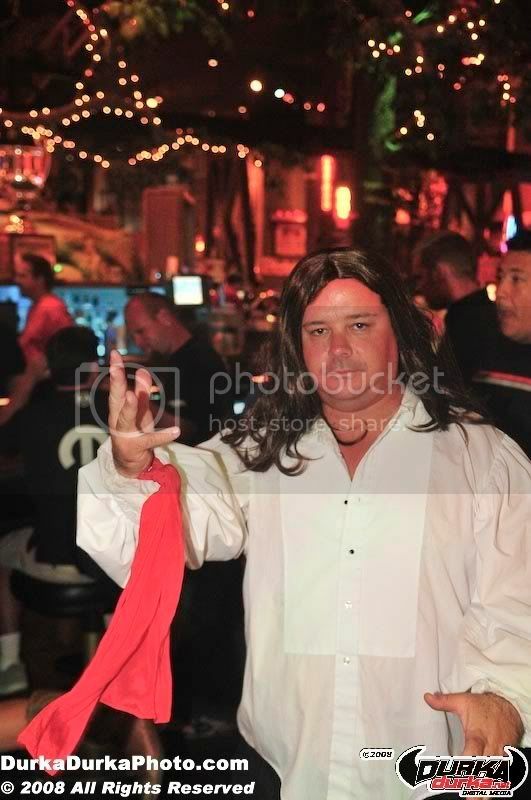 Tim McDonnell, Yorba Linda, Calif./Brian McDonnell, La Habra, Calif., Penhall-Chevy, 5:29:10; 6. Randy Wilson, Lakewood, Calif./Charlie Gioffredi, Long Beach, Calif., Jimco-Chevy, 5:30:27; 7. Daniel Wingerning, Redondo Beach, Calif./Bill Wingerning, Rolling Hills, Calif., Jimco-Chevy, 5:31:46; 113 Guy Peterson, Arcadia, Calif./Mike Nex, Temecula, Calif., Penhall-Chevy, 5:43:13; 9. Steve Sourapas, Rancho Santa Fe, Calif., RPS-Chevy, 5:44:36; 10. Ronny Wilson, Long Beach, Calif./Sammy Ehrenberg, Las Vegas, Jimco-Chevy (6:10:56); 11. Chuck Dempsey, Oak Hills, Calif./Raymond Barre, Reno, Nev./Mark Levrett, Sparks, Nev., HMS-Chevy, 6:19:29; 12. Richard Boyle, Ridgecrest, Calif./Tom Kirkmeyer, Apple Valley, Calif., HMS-Chevy, 6:27.33; 13. John Herder, Tucson, Ariz., Jimco-Viper, 6:40:41; 14. Luis Ramirez Jr. /Nicolas Ambriz, Cabo San Lucas, Mexico, Jefferies-Chevy, 6:54:36; 15.Dale Ebberts, Wilton, Calif./Brad Etter, Villa Park, Calif., Porter-Chevy, 6:56:24. CLASS 3 (Short Wheelbase 4X4, 2 laps, 144 miles)—1. Donald Moss, Sacramento, Calif./Ken Moss, Marysville, Calif., Ford Bronco, 4:02:01 (35.70 mph); 2. Daniel Wright, Rio Vista, Calif./Daniel Field, Fruitland, Idaho/Jeremy Parriott, Moab, Utah, Ford Bronco, 5:56:26. CLASS 5 (Unlimited VW Baja Bugs, 2 laps, 144 miles)—1. Kevin Carr, San Diego, 4:52:12 (44.35 mph). CLASS 5/1600 (1600cc VW Baja Bugs, 3 laps, 216 miles)—1. Marcos Nunez/Norberto Rivera, Ensenada, Mexico, 4:59:50 (43.224 mph); 2. Raul Solano/Richard Garavito, Chino, Calif., 5:01:44; 3. Ernie Negrete, San Diego/Oscar Venagas, Rosarito, Mexico/Gabriel Diaz, San Ysidro, Calif.,5:32:50; 4. Jose Montoya/Adolfo Arambula, Ensenada, Mexico,5:40:46; 5. Trevor Anderson/Mark Anderson, Carlsbad, Calif., 5:56:54; 6. Tommy Craft, El Cajon, Calif./Ron Craft, Santee, Calif./Reid Rutherford, Montrose, Colo., 6:12:30; 7.Saul Garcia, Hemet, Calif., 6:34:21. CLASS 7 (Open mini trucks, 3 laps, 216miles)—1. Chris Taylor, El Centro, Calif./Josh Quintero, Imperial, Calif., Ford Ranger, 4:41.47 (45.992 mph); 2. Jason Rodriguez, Alpine, Calif., Ford Ranger, 5:04:29; 3. Dan Chamlee/Tom Chamlee, Carpenteria, Calif., Ford Ranger, 6:54:07). CLASS 7SX (Modified, open mini trucks )—(3 Laps, 216 miles)—1. John Holmes, Olivenhain, Calif./Mark Landersman, Temecula, Calif., Ford Ranger, 5:33:15 (38.89 mph); 2. Heidi Steele, San Clemente, Calif./Rene Brugger, San Diego, Ford Ranger, 5:49:08; 3. Aaron Gomez, Fallbrook, Calif./Michael Dwyer, Temecula, Calif., Ford Ranger, 6:34:10;4. Rodd Fantelli, Ramona, Calif., Ford Ranger, 6:34:15. CLASS 10 (Single or two-seaters to 1650cc)—1. Bekki Wik/Adam Wik, Las Vegas, Bunderson-Honda, 5:18:15 (54.30 mph); 2. Adam Ashcraft, Vista, Calif., AlumiCraft-VW, 5:19:47; 3. Mike Lawrence, Sunset Beach, Calif./Anthony Lopiccalo, Brea, Calif., Lothringer-VW, 5:56:59; 4. Michael Wichmann/Rick Lance, Las Vegas, Chenoweth-VW, 6:03:47. CLASS 11 (Stock VW Sedans, 2 laps, 144 miles)—1. Ramon Fernandez/Thomas Fernandez, Ensenada, Mexico, 4:13:25 (34.09 mph); 2. Eric Solorzano, Tijuana, Mexico, 4:59:58; 3. Mauro Diaz, Covington, Wash./David Sanchez, Hesperia, Calif. 6:39:10. 5. Clyde Stacy/Michael Powell, Bristol, Va./Justin Matney, Bristol, Tenn./Jeremy Maltier, Bristol, Va., Dodge Ram2500, 5:18:28. STOCK MINI (Stock, Mini-sized trucks, 2 laps, 144 miles)—1. Gavin Skilton, Orange, Calif., Honda Ridegline, 3:54:17 (36.88 mph); 2. Steve Kovach, Tempe, Airz./Chip Carr, Gilbert, Ariz., Ford Ranger, 3:55:20; 3. Rod Hall, Reno, Nev./Emily Miller, Crested Butte, Colo., Hummer H3,4:04:22. CLASS 17 (Class 3, Modified Jeeps, 2 laps, 144 miles)—1. Scott Watkins, Stockton, Calif./Casey Bount, Danville, Calif., Jeep XJ Cherokee, 5:18:40 (27.11 mph). OVERALL SPT CAR--Peter Lang/Terry Cotter/Brian Jellison, Santa Rosa, Calif., Homebuilt-Chevy, 3:38:16 (39.58 mph).